The creators of popular films are always happy to release sequels and prequels with new details of the lives of our favorite heroes and there are many details that are usually kept hidden from the audience until the next part comes out. For example, who of Avengers stayed alive in Infinity War, and how did the relationship between Jake and Neytiri continue in Avatar? The answers to these questions will be revealed very soon! Bright Side decided to offer our readers to take a look at the sets of some popular movie franchises and find out when so long-awaited second, third, and even ninth parts of the most successful movies will be released. Elle Fanning shared her photo from the shooting of Maleficent 2. Young Elle Fanning shared her photo with Angelina Jolie on Instagram. The premiere of the second part will be released in 2019. Its storyline is kept a secret, however. James Cameron shoots 4 parts of Avatar simultaneously. Good news for fans of the movie about the mysterious planet Pandora — the production of Avatar 2 has already begun! James Cameron plans to work on parts 3, 4, and 5 simultaneously. The main characters will be played by Sam Worthington (Jake Sully) and Zoe Saldana (Neytiri) again. 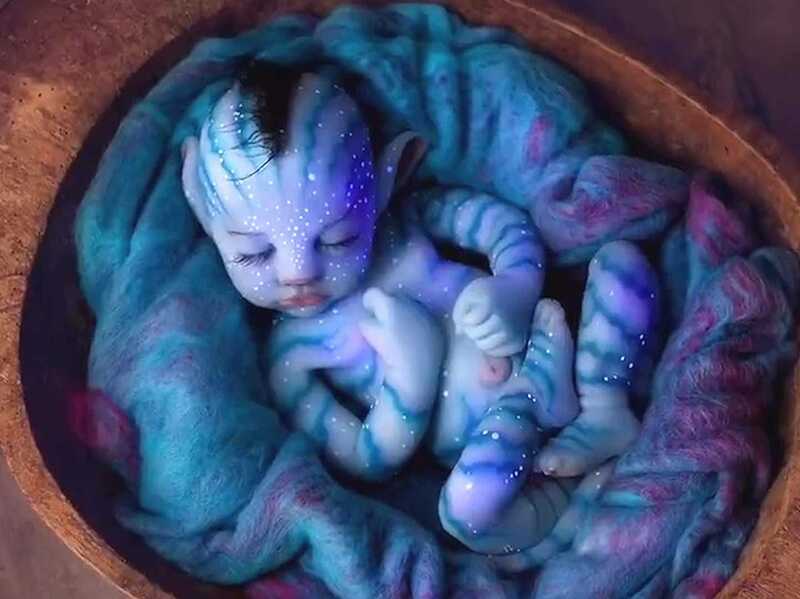 This time, they will become loving parents and will continue to save the “Na’vi” people. The premier of Avatar 2 is planned for 2020. Then, Cameron wants to release one sequel a year. After the successful film adaptation of Beauty and the Beast, Disney Studio decided to make a live-action movie based on the cartoon Mulan. The release of a live-action feature film based on Disney’s Mulan is planned for 2020. Walt Disney Studios looked for an actress who would embody a courageous girl going to war in place of her sick father for a long time. 1,000 young actresses took part in the casting but eventually, Chinese actress and singer Yifei Liu was chosen. We’re curious as to who will play the role of the dragon Mushu? In the cartoon from 1998, he was voiced by Eddie Murphy. The fight with the horrible clown Pennywise will continue in It: Chapter Two. The events take place 27 years after the events of the first movie. All the characters are grown-ups now and they lead an ordinary life. But then a telephone rings and their lives turn upside down. We’ll know how exactly only in 2019. The main characters of Bev and Bill will be played by Jessica Chastain and James McAvoy. They have already shared their first photos from the set. The prequels of Star Wars will end on Episode IX. The members of the film crew of Solo: A Star Wars Story have already finished the production. However, the crew working on Episode IX is far away from rest. Star Wars: Episode IX is planned for 2019 but the exact name of the movie hasn’t been announced yet. The film director of the last part of the sequel trilogy will be J.J. Abrams. The English actress Daisy Ridley will act as courageous Rey again. Fans hope that they’ll find out who the true parents of the heroine really are in this movie of the franchise. Different speculations can be found online: Rey is Luke’s daughter, or a granddaughter of Palpatine, or a reincarnation of Darth Vader. The Rock will act in Jumanji again. The third movie of Jumanji is promised to be released by December 2019. On April 11, Dwayne Johnson officially announced on Instagram that the production of the sequel about teenagers appearing inside a video game with difficult puzzles and dangerous traps had already begun. By the way, The Rock will not only act as one of the main characters in this movie but will also produce it. The most mysterious thing about Guardians of the Galaxy Vol. 3 became its script. The director of Guardians of the Galaxy, James Gunn, is busy answering questions from fans on Twitter. The problem is that there are too many unknown details in the script of Volume 3. For example, some say that Mantis is Peter’s half-sister, Baby Groot is actually not Groot but his son, and so on. To sort everything out, we need to watch the movie. We’ll have to wait a while for the premier in 2020. The events of the movie will take place after the events of Avengers: Infinity War. It’s rather intriguing, don’t you think? Sansa Stark of Game of Thrones will become a mutant again. In winter 2019, another movie of the X-Men franchise will be released. This time, we will find out the story of Jean Grey — Dark Phoenix. In the previous chapters, adult Jean was played by Famke Janssen, an actress from the Netherlands. This time, viewers will see young Jean performed by English actress Sophie Turner. This young actress became famous thanks to her role as Sansa Stark in Game of Thrones. Now she’s starring in X-Men: Dark Phoenix. Let us remind you that Sophie already appeared as the character of young Jean Grey in X-Men: Apocalypse. The adventures of young Albus Dumbledore will be shown in the new Fantastic Beasts. The first Fantastic Beasts were very successful, so we can expect 4 new movies about the events of the magic world happening 65 years before Harry Potter’s time. David Yates is still in the director’s chair, while the screenplays are written by the tireless Joanne Rowling. In fall 2018, Fantastic Beasts: The Crimes of Grindelwald will be released. At the same time, the production of the third movie of this franchise has begun and it’s supposed to be released in 2020. Newt Scamander and his friends will be replaced by the dark magician Grindelwald and young Albus Dumbledore. Their adventures are promised to be no less fascinating. Next Avengers should sum up all previous 22 movies based on Marvel comics. Kevin Feige, the president of Marvel Studios, revealed in his interview to Den of Geek the future of the Avengers’ universe and mentioned that the second movie of Infinity War will sum up 22 Avengers movies. Still, the creators of this franchise will continue the stories of current heroes and will even introduce new ones. We can’t wait to see the new movie Avengers in May 2019. An English woman occasionally took photos of the first moments of the filming of Spider-Man. On July 2, Sophie Playle,‏ who lives in Hertfordshire, a county in southern England, was surprised to find out the new Spider-Man movie was being filmed just around the corner from where she lived. Sophie took a few pictures with her phone and shared them on Twitter. She was really surprised to find out that her pictures were shared not only on social networks but also on some famous websites. The new movie of this franchise will be called Spider-Man: Far From Home. Peter Parker and his friends will go to Europe during the holidays. We’ll find out what will happen to them in July 2019. Are you intrigued and excited? Which of the movies are you looking forward to the most? Share with us in the comments!